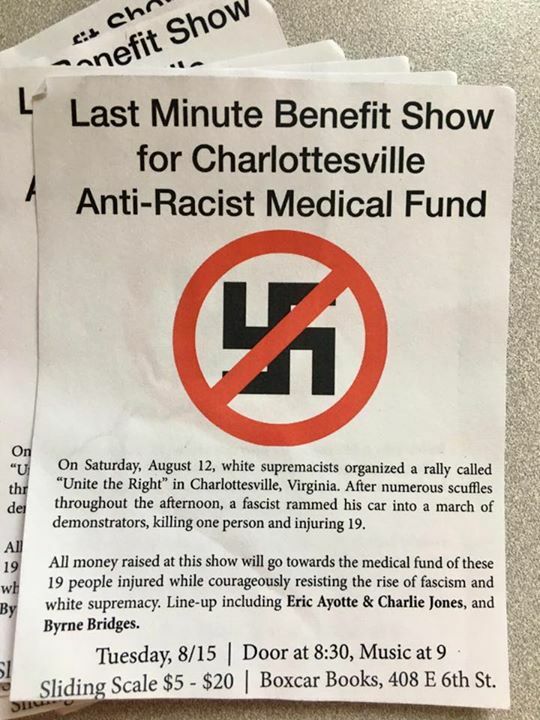 We put together this event to bring together radical communities in light of the events in Charlottesville and raise some funds for a general medical fund for folks injured on Saturday. at Boxcar Books. all ages. doors 8:30 pm, music 9 pm. Eric Ayotte and Charlie Jones will play an acoustic set that they haven’t played in town yet. Excited to hear it! Newer local band Fresh Kill will be playing an acoustic set!